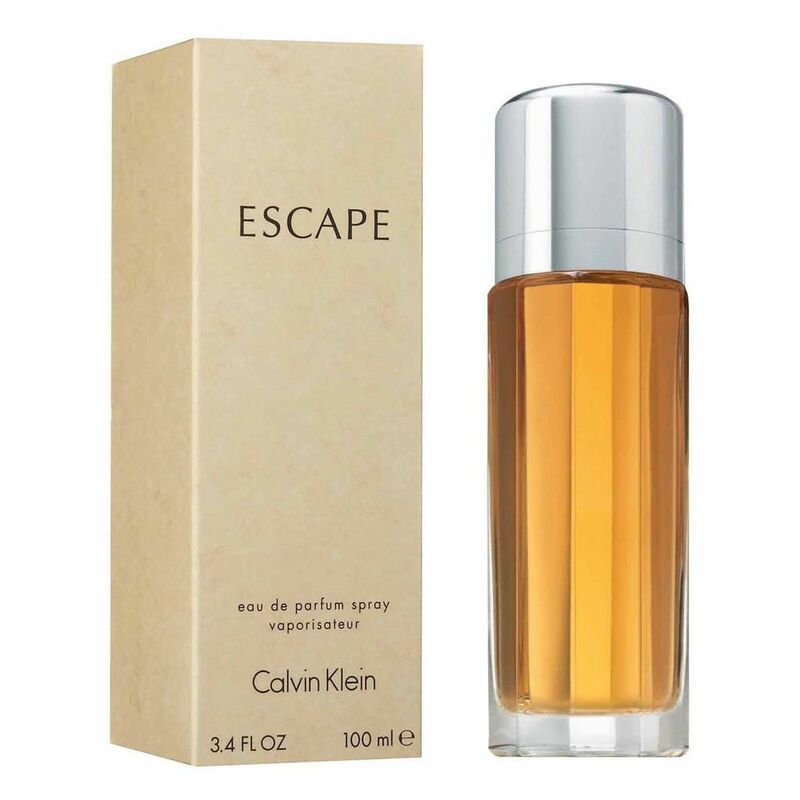 Escape (Eau de Parfum) is a perfume by Calvin Klein for women and was released in 1991. The scent is floral-fresh. It was last marketed by Coty. 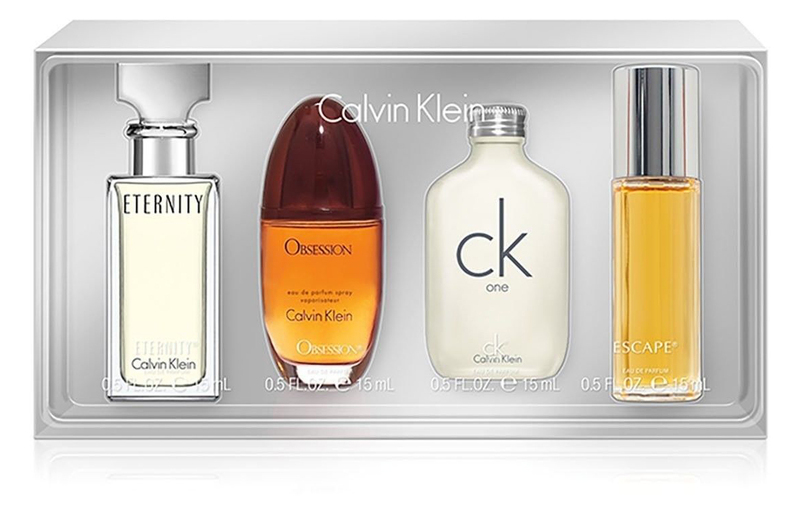 Very nice perfume as usual from Calvin Klein. Its strong though appropriate for summer or spring. Very aquatic and flowery too. Excellent sillage and longevity. 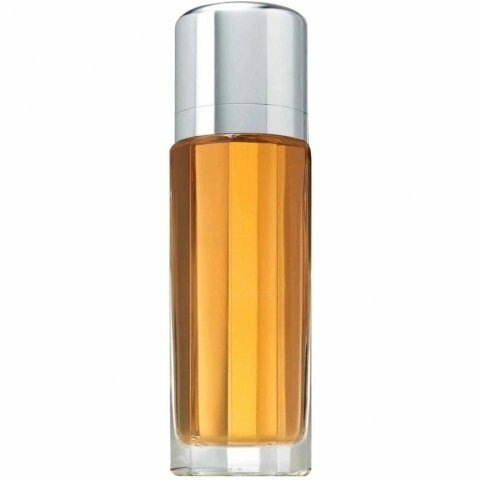 The chamomile note is very strong in the beginning but later it settles down and the other notes arise. I would categorize this perfumes as very aromatic. Thanks CK. 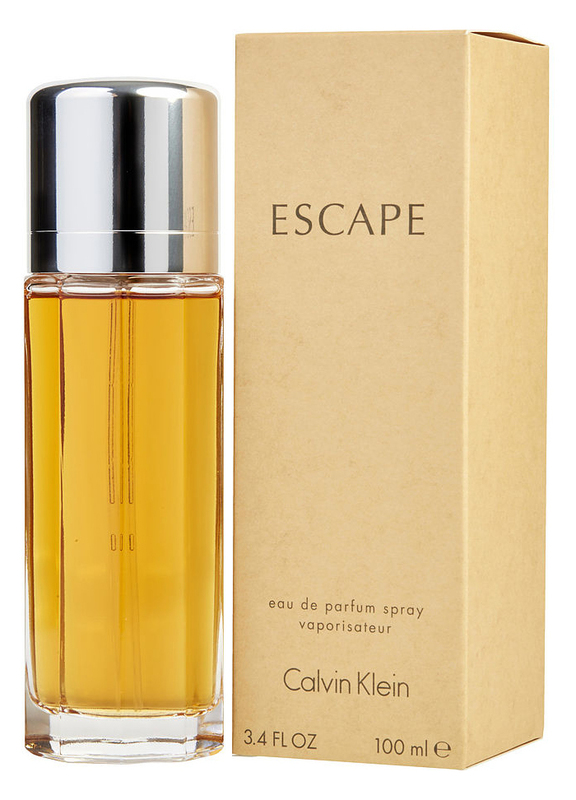 Escape is Indian summer in a bottle. Strangely it holds no beach associations for me but instead conjures those golden blue sky days that segue sunny and warm into the Australian autumn. what a WONDERFUL fragrant! I tried it today for the first time. Most peoples comments are about it's nostalgia, given I am only 20 and have no nostalgia from it I still LOVED it!!! It is a bit strong at first but the drydown is esquisite! I think I will purchase a small bottle for my collection. hrs after I sprayed it it is still very strong. I read these reviews before I tried this perfume, and I must say I was preparing myself for an overpoweringly strong, mature perfume. 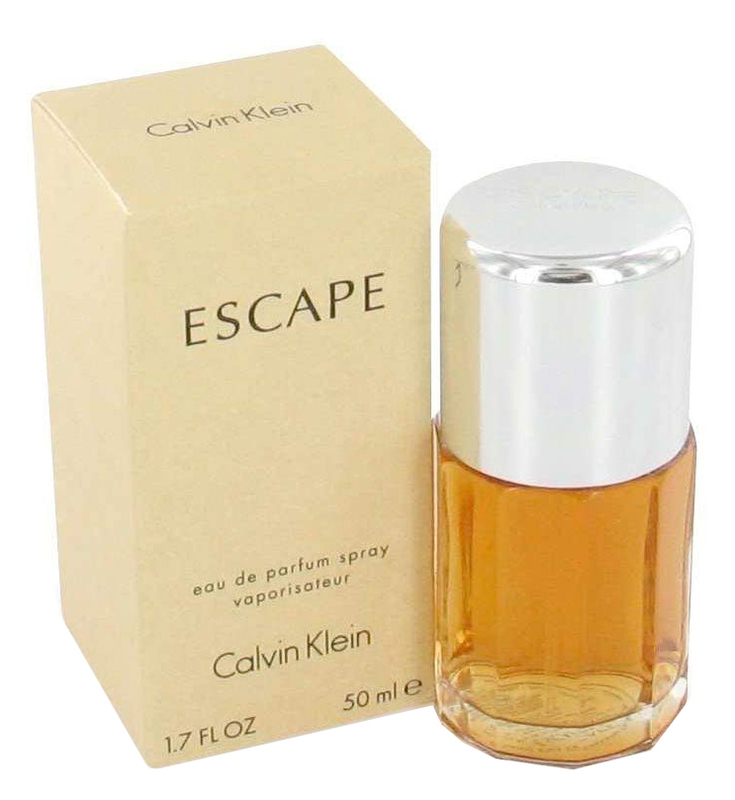 I should make note of the fact that I'm 18 and that I really liked this fragrance when I finally got around to testing it. Strong, yes, but not so strong that it would knock someone out upon first sniff. Sophisticated, warm and sensual is how I would describe Escape. I can see this perfume being worn any time, whether it be during the day, at night or even during a special occasion. 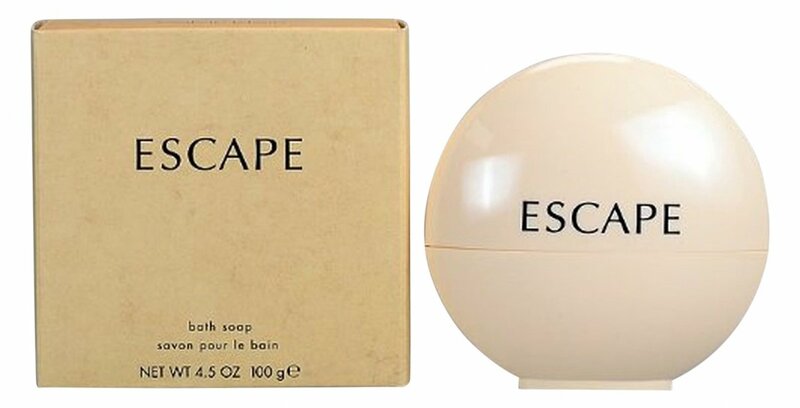 It may be a perfume that smells very similar to a lot of fragrances these days, but there's something about Escape that is intriguing and rather charming. 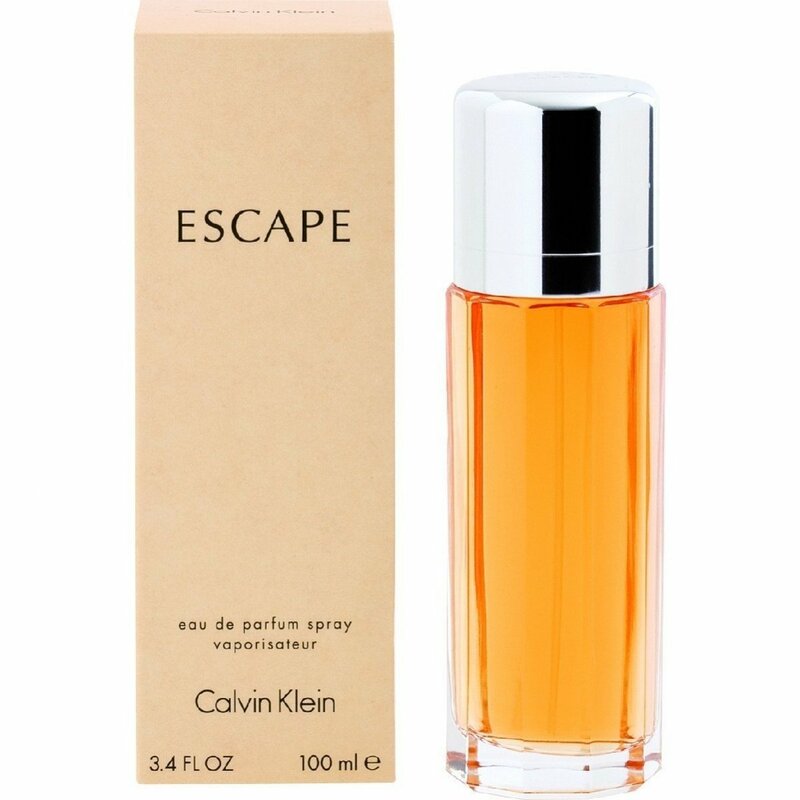 When I first tested this fragrance I had never noticed that Escape had a salty note. I was quite surprised to discover this as it did indeed remind me of the ocean. Seeing that all my memories associated with the beach are good ones, this will most definitely be top priority on my wishlist. Escape did not work well with my skin chemistry. Unfortunately I had to push this one aside.